Here in the UK, any business that plans to serve alcoholic beverages must abide by the country’s licensing laws, which regulate their sale. If you want to open a pub, bar, restaurant or any other business that will sell alcohol on its premises, you need to familiarise yourself with these laws and ensure that you follow them to the letter to avoid any trouble further down the line. What is a designated premises supervisor (DPS)? Are there any other conditions for licenced premises? Please note: This guide will deal with the licensing laws for England and Wales — Scotland (Licensing Act 2005) and Northern Ireland (The Licensing Order 1996) have their own laws that you will need to consult. We will also be focusing on general premises, rather than members’ clubs. It’s also worth remembering that this is intended to be a guide only and you should refer to the Government’s guidance on licensing laws for full and up to date information. In England and Wales, the Licensing Act 2003 is the legislation used to license premises in their sale of alcohol. It sets the laws that any business selling alcohol must follow, including which licences they need to apply for and what they must do to responsibly carry out the sale of alcoholic beverages. The Act also regulates the provision of other licensable activities, namely regulated entertainment — such as showing a film, hosting a sports event, or a performance of live music — and late-night refreshment. As set by the Act, to get permission to perform these licensed activities, you must apply for a licence from your licensing authority (LA) — usually a local council — who is required to have a licensing committee to approve or deny any applications. The entire area of law and policy around alcohol licensing is overseen by the Home Office. Because these are the aims of the Act, all of the laws it sets out are intended to ensure that your premises will uphold them. If you aren’t able to follow the regulations, you can have your licence reviewed with the possibility to it being revoked or restrictions placed on your business. These can include such measures as a reduction of your opening hours or limits placed on your activities. Furthermore, the police can close down the premises of serious offenders and order a licence review. Any premises undertaking licensed activities must have a premises licence. Any premises must have a designated premises supervisor (DPS). Any premises must have a DPS who holds a personal licence. To become fully licensed, you must apply for a premises licence on behalf of your establishment. You, or someone within your business, must also apply for a personal licence and be nominated as the designated premises supervisor (DPS) to assume responsibility for the provision of alcohol. Over the next few sections, we’ll take a look at both premises and personal licences and what they entail, as well as how to nominate someone as your DPS. A premises licence authorises your bar or pub to serve alcohol or provide any of the other licensable activities defined in The Licensing Act 2003. It’s issued by your local licensing authority once you’ve applied and satisfied the requirements. It’s also worth mentioning that your premises doesn’t need to be a physical building: a licence can be awarded to moveable structures, such as a marquee, beer tent, or food truck; outdoor spaces for events like festivals; and even to boats and other vessels. How long does a premises licence last? the licence is surrendered to the licensing authority. Note: In the majority of cases, there is a licence fee that must be paid annually on the date the licence was issued — see our guidance on fee bands below for more information. To apply for a premises licence, you must submit the correct form to your local licensing authority, as well as paying the right fee and satisfying the application requirements. You must be at least 18 years old to apply for a licence. Firstly, you will need to decide if you’d prefer to complete the application online (if your council accepts electronic applications) or via the post. The Government has a postcode tool that will direct you towards your local council’s instructions for application. an operating schedule detailing what licensable activities will take place, your intended opening hours, who your designated premises supervisor is and what your business will do to meet the four licensing objectives. If you are submitting a paper application, you must provide a copy to each responsible authority in your area, as they may have input or objections. These include the police, fire service, health and safety authorities, local planning authorities, environmental health authorities, and other licensing authorities (a full list is available in the Government’s guidance). Electronic applications don’t require separate copies to be sent. You will also need to carry out a risk assessment of your premises to check that you will comply with the requirements of both police and fire services. Once you’ve submitted your application, there will be a 28-day consultation period taken by the licensing authority. During this time, you must clearly display your licence summary at your premises for the public to view. You must also advertise your licence application in a local newspaper for one working day within ten working days of making your application. While the consultation period is underway, any responsible authorities or other persons (such as local residents) can make representations to the licensing authority in objection to the premises licence being awarded. Any representations must be in line with the four objectives set out by The Licensing Act 2003, otherwise they will not be considered — it’s up to the licensing authority to decide which are valid and which aren’t. The licence is granted, but the operating schedule is modified in line with the objectives. They reject one of the licensable activities on the application. They reject the application outright. They refuse to approve someone as the designated premises supervisor. They choose to ignore the representation and grant the licence without changes. Should you disagree with the outcome of a hearing, you have the right to appeal. Can I transfer my premises licence? Yes, you can both transfer a premises licence and apply for changes to be made to your licence. If you’re in the process of purchasing licensed premises, you need to get the current licence holder’s agreement transferred to your name before you can operate. Start by submitting your transfer application form, which must contain your details and the authorised consent of the current licence holder. There will be a 14-day period where representation can be made and, if successful, you will receive your transferred licence. Should you wish to make changes to your premises licence, you’ll need to apply for something called a variation. There are two types of variation application: full and minor. If your alterations could potentially impact the four objectives of The Licensing Act, you will need to apply for a full variation. Examples of these changes could include extending the opening hours, authorising the sale of alcohol between 11pm and 7am, or changing the layout of the bar area. A full variation application works much in the same way as applying for a licence in the first place: you need to fill out an application form in more detail, advertise publicly, and there will be a 28-day consultation period taken. There is also a variation fee payable — see our fee bands for more details. For small changes that won’t affect the objectives, you will only be required to apply for a minor variation, which is cheaper (£89) and quicker than a full variation. For instance, if you wanted to remove a licensable activity, reduce the hours you sell alcohol, or make a small alteration to your premises, then these wouldn’t affect the objectives of the Act. There is a minor variation application form to fill in and submit to your local licensing authority, who will come to a decision and approve or reject your requested changes. There is a shorter 10-day consultation period during which you must display a notice of your intended changes on your premises. What are the premises licence fee bands? When you apply for a premises licence, you will also need to pay an application fee to your local council and an annual charge to maintain it. Depending on the rateable value of the property, your premises will be placed in a fee band (between £100–£1,905) that dictates how much you will have to pay for your application to be processed, as well as what the annual charge will be. The rateable value of your property is set by the Valuation Office Agency (VOA). You can find the rateable value of your premises using the Government’s online tool. Should your premises not have a rateable value, then it will be placed into the lowest fee band. Please note: There are multipliers that are applied to both application fees and annual charges premises used exclusively or primarily for the sale of alcohol for consumption on the premises in Band D (x2) and E (x3). Are there any other obligations I need to know? Having your licence on-site: You must keep your licence or a certified copy on-site at your premises at all times so that it’s available for inspection by the police or a certified council official. You must also display Part B of your licence in clear view at your premises. Notifying the council of loss or theft of your licence: Should your original licence get lost, destroyed, or stolen, you need to tell the council and order a new copy to replace it. Notifying the council of a change or name or address: If you change your name or address you must inform the council as soon as possible so records can be updated. Continuing to pay your annual licence charge: You must pay your annual licence charge on the same date as your licence was granted each year. Check our fee bands for charge costs. A personal licence is the licence that allows an individual to sell or authorise the sale of alcohol on behalf of a business that has a premises licence. This license is intended to make sure that anyone running a bar, pub or another business that sells alcohol does so in a responsible fashion. By law, your pub or bar must have at least one personal licence holder — this could be you or a member of staff — who assumes responsibility for authorising the sale of alcohol. You don’t need a licence to be employed in a pub or a bar and serve alcohol, but the holder of the licence must authorise you to do so. It’s worth bearing in mind that your business also needs at least one designated premises supervisor, who also needs to hold a personal licence, so you need to ensure this is the same person if you’re only planning on having one personal licence holder on-site. Accredited qualification: You need to complete an approved training course to achieve an accredited qualification before you can apply. These courses will ensure you have a solid knowledge of licensing laws, as well as an understanding of the responsibilities of selling alcohol. The Government has a list of organisations that provide accredited training. Disclosure & Barring Service (DBS) Check: You must apply for a basic DBS check, which will check your criminal record. You can find out more about this on the basic check page of the DBS website. UK right to work: You must be able to prove that you have the right to work in the UK before you apply for a personal licence. This can be done by using the Government’s online tool. After you have satisfied these four requirements, you can fill in and send off your personal licence application form to your local licensing authority, using the Government’s locater tool to find and apply to the right council. You need to fully complete the form to avoid it being sent back to you. Be sure to include your accredited qualification and DBS check certificates with your application, as well as two passport-sized photos and payment of the licence fee. The fee for applying for a personal licence is £37 and needs to be paid when you submit your form and other documents. You can do this by enclosing a cheque payable to your local council, though most councils will also accept payment by cash or card in person. How long does a personal licence last? Once you’ve received your personal licence, it is valid indefinitely from the date it was issued. It will only become invalid if it is revoked or suspended by the licensing authority. It is also portable throughout England and Wales, so you don’t need to reapply to a different licensing authority should you relocate. You will, however, need to inform your local authority of any changes of name, address, or criminal offences so they can update their records. A designated premises supervisor is the person who maintains responsibility for the day-to-day operation of a business that is licensed to sell alcohol. You may wish to take on this role yourself, or you might have an experienced and qualified member of staff in mind. Nominating a DPS is a mandatory requirement of any bar or pub, and they must be named in the operating schedule when you apply for a premises licence, so this is something you will have to think about in advance of operating your business. Furthermore, your DPS must have a personal licence to authorise the sale of alcohol on your premises. 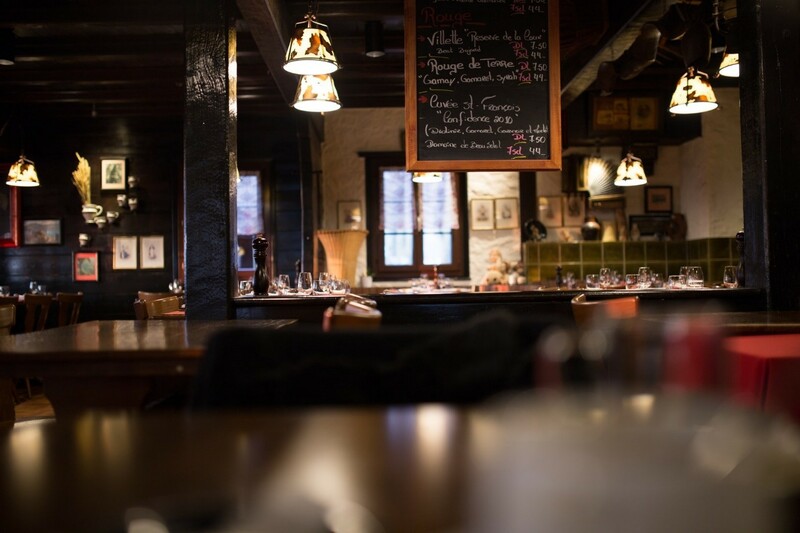 What are the responsibilities of the designated premises supervisor? The designated premises supervisor will be the person who takes responsibility for the sale of alcohol on the premises and will be the primary contact for the local licensing authority and police. Your business can only have one DPS, but the same person can be the DPS for more than one business. To perform this role effectively, they need to have an understanding of the business and they need to be deeply aware of the social issues and problems that can come with selling alcohol — this is something that the accredited course associated with the personal licence will assist with. A DPS does not need to be at your premises at all times that alcohol is sold, but they need to be involved enough in the day-to-day operation to comfortably act as your pub or bar’s representative in council and police matters. They also need to be contactable at all times to ensure that any issues can be dealt with quickly and effectively by the authorities. How can I nominate or change a designated premises supervisor? You will need to nominate a designated premises supervisor when you apply for your premises licence. As part of this process, your chosen DPS — whether it’s you or someone else — needs to complete a consent form. If, for whatever reason, you need to change the person who is registered as your DPS, you can apply for a variation through your licensing authority. Both the nomination and variation forms can be found on the Government’s DPS forms page. Are there any other conditions for licensed premises? Once you have successfully been awarded your premises licence and have a designated premises supervisor with a personal licence in place, you’re ready to start serving at your bar or pub. However, there are a few other conditions that The Licensing Act 2003 sets out that you need to be aware of if you’re going to stay on the right side of the regulations. We’ve covered a few of these below to help you operate responsibly and within the law. You need to consider where children fit into your pub or bar, as there are legal responsibilities set out by the Act that you must obey. Not only may some of your customers bring children with them, but you may employ staff who are under 18 and need special consideration. If your premises is used exclusively or primarily for the sale of alcohol, you cannot allow unaccompanied children under the age of 16 onto your premises, even if they are only purchasing and consuming soft drinks. When you’re running a bar or pub that only serves drinks (not food), the outcome of this law is simply that you can’t allow unaccompanied children in your business. However, things can become more difficult to determine if you also serve food, as this could potentially move your premises away from one that ‘primarily’ serves alcohol. If you’re not sure, it’s always safer to consult with police or your local licensing authority to clarify as to whether this restriction applies to you. The Act states that any person aged 16 or 17 who is consuming a meal is permitted to drink alcohol on your premises, provided their beverage was purchased by someone over 18. However, if you’re not completely comfortable with serving under this regulation or you find it difficult to monitor these sales, it’s at the discretion of the licensee as to whether they wish to permit these sales. Under the Licensing Act 2003, you’re allowed to employ people under the age of 18 to work and serve alcohol behind your bar, as long as each sale is approved by a responsible person over 18 — this can be the designated premises supervisor, premises licence holder, or someone who has been authorised to do so by the supervisor or licence holder. It’s also worth noting that no authorisation needs to be given for an under-18-year-old to sell or supply alcohol to customers if they are consuming a meal at a table in the restaurant area of your bar or pub. But, if the same customer were to move to a bar area and order from the bar, authorisation would need to be given. If you buy alcohol from a wholesaler for resale to the public, you need to be aware of your obligation towards the Alcohol Wholesaler Registration Scheme (AWRS), a scheme overseen by HMRC that regulates all businesses that supply alcohol to other businesses to reduce alcohol duty fraud. To comply with the law, you must ensure that any wholesaler that you buy from is registered with HMRC and has an AWRS Unique Reference Number, a detail that most wholesalers will display on their website and should be able to provide on request. You can then check the number against HMRC’s database of approved wholesalers. Should you purchase alcohol from a wholesaler who is not registered, you risk facing a fine of up to £10,000. And, HMRC can apply to your local authority to have your premises licence reviewed, which may lead to sanctions or a suspension of your licence. Since the introduction of the Licensing Act 2003, there have been two sets of mandatory licensing conditions added that apply to all premises in England and Wales that supply alcohol under licence. The first order was added in 2010, followed by a second in 2014, which saw new mandatory licence conditions added and others tightened up. 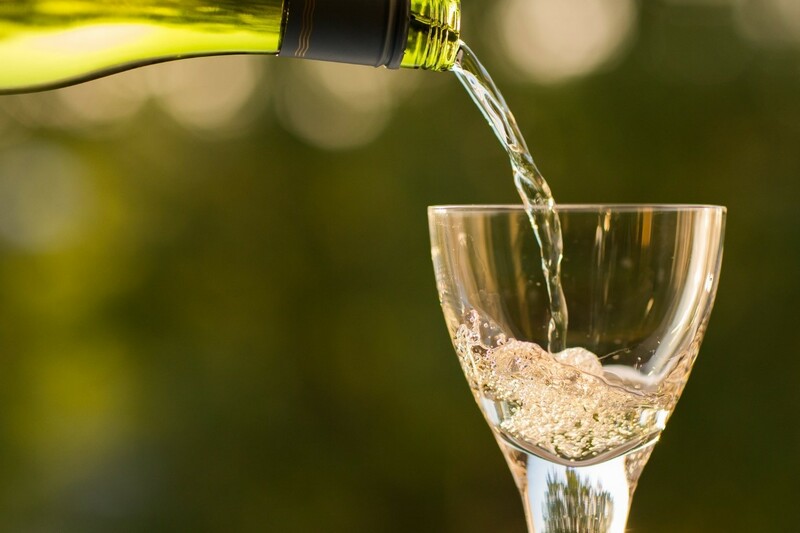 The Government introduced a ban on the sale of alcohol below the cost of duty plus VAT, which prevents businesses from selling alcohol at heavily discounted process, in an effort to reduce excessive consumption and its effect on crime and health. This price is defined as “the level of alcohol duty (‘duty’) for a product plus value added tax (‘VAT’) payable on the duty element of the product price”. The premises licensee, designated supervisor, or personal licence holder is responsible for ensuring any staff that can amend prices are aware that alcohol must be sold above this minimum price. You can find full information about this policy, as well as worked examples for calculating the cost duty plus VAT price for various alcoholic drinks in the Government’s guidance document. Another mandatory condition set out by the Government’s guidance is a ban on irresponsible promotions that can encourage the sale of alcohol on a premises. The licensee or designated supervisor has a responsibility to ensure that staff do not carry out, arrange, or participate in any of these activities. Drinking games: Any game or activity that requires the drinking of alcohol within a time limit or to drink as much as possible. Provision of alcohol for free or at a discount: You can’t provide alcohol for free or at a discount if it will breach the Act’s licensing objectives. Rewards for drinking alcohol: The awarding of free or discounted alcohol or anything else as a prize that encourages the consumption of alcohol to a level that may breach the Act’s licensing objectives. Promotional materials: You can’t sell alcohol in association with promotional materials (on or in your premises) that condone, encourage, or glamorise antisocial behaviour or drunkenness. This includes posters and flyers used to promote deals or events. Pouring alcohol straight into the mouth: All activities that involve alcohol being poured directly into the mouth by staff are banned. This does not include situations where a person cannot drink without assistance due to a disability. This mandatory condition requires that the licensee or designated supervisor make sure that there is free potable water provided on the premises when reasonably available. The aim of this is to help customers stay hydrated and space out their drinks. When water is not ‘reasonably available’ — for instance, if there is a problem with the water supply — then it is acceptable not to provide water. Please refer to the Government’s guidance for a more in-depth definition. As the licensee, you need to make sure that your premises are operating an age verification policy for the sale of alcohol, where any customers appearing to be under 18 must provide valid identification before being served. The designated premises supervisor is responsible for making sure all alcohol is sold in line with your age verification policy. The Government’s guidance dictates that valid identification must show the holder’s photo, date of birth, and either a holographic mark or ultraviolet feature. Valid forms of ID include passports, driver’s licences, and military identification, though other types are acceptable as long as they meet the criteria. The availability of these smaller measures must be clear on menus, price lists or other printed materials, and these must be accessible by customers on your premises. When a customer orders a measurable drink — one that isn’t available in a set volume (a bottle of beer, for example) — and doesn’t specify a volume, they should be made aware of all serving volumes, including smaller amounts, either by being told verbally or directed towards a list or menu. If you need to expand your range of glasses or measures to accommodate these amounts, it’s worth looking at our range of barware to make sure you’re ready to comply with the law. We hope that this guide to the UK’s licensing laws has helped you get to grips with the Licensing Act 2003 and all it entails, including licences and licence conditions. You can find everything you need to kit out your premises in our great range of bar and restaurant supplies, which has everything you need, from pub and bar equipment to signs and display products. We also have a great selection of glassware for serving your drinks. If you have any questions about this guide, please feel free to get in touch, and be sure to explore our knowledge base and buying guides for even more expert advice.